Another lot who will be convinced that they are 'too big' to be in L1. Tbf, a lot of ours initially thought the same about the Conference in our 1st season. They did and they were wrong. Over the course of a league season, clubs end up where they deserve, and if you are relegated then you belong in the division below. No matter what your history, how many supporters you have or however swanky the stadium you play in. I don’t see Ipswich or Bolton being particularly strong if I’m honest. Bolton are a shambles off the pitch and Ipswich have been flirting with relegation for years. Think the third team to be relegated will be more of a force. Would love it to be Reading but think they’ll do enough to stay up. No whiff of financial problems at Ipswich as far as I am aware so the odds are they will have a strong side next season. Bolton might not exist but if they do, can't see them being up to much, unless they manage to find a multi-millionaire owner who isn't called Davies. Third team coming down will be Rotherham I think. They could well go straight back up again. Just a bit too good for Div 1, not quite good enough for the championship. Lincoln could well be strong. One or both of Sunderland and Pompey could still be in Div 1 next season. Make no mistake....Div 1 is going to be strong next season. Bits of it will be strong, but IMO there have been a lot of very very ordinary teams in the division this year, and most of them will still be here next time out. Yeah, and danced on our pitch. Classless. we're not totally blameless on that score though are we? plus we sent them down from the old div 1 in 1986 by beating arsenal 3-0 at home in the last game of the season. they'd beaten us at their place a week or so before. as there are every year - it's Div 3 after all. it's the half dozen or so that won't be very very ordinary that will be the problem. Reckon next season L1 will be weaker. Come on, Rotherham aren’t exactly the bees knees are they? Assuming the bow tied supremo asks his shadowy friends nicely we may do very well next season. That’s a big assumption. League One in focus for Ipswich. Partly, they're reaping the effects of getting rid of Mick McCarthy. Not saying he's a brilliant manager, but he's solid enough and in his six years there, they never finished lower than 16th. Showed him the door because they believed someone else could have them pushing more strongly towards the playoffs, and it's bitten them in the behind in the worst way. But anyone thinking that they'll be anything other than a major threat in League One next year is deluding themselves. The financial gap between Championship and League One nowadays is massive - their wage bill last year was at least three times the size of ours. They don't have financial issues, because they've got an owner who's seemingly willing to cover large losses every season. I'll be shocked if they don't end up at least in the top six (like Barnsley & Sunderland this year, and Wigan, Blackburn & Rotherham the year before). 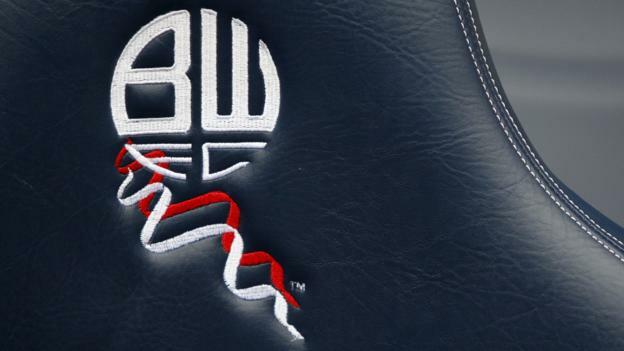 The only reason that next year's league might be a little easier is because Bolton are a complete financial basket case and they may have to trim their costs so much that they aren't at a massive competitive advantage over the likes of us...…. As an aside, remember several unhappy trips to Ipswich in the late 90s, including getting absolutely torn a new one by Kieron Dyer. Believe we've only ever won there once. And remember Bolton will likely start with a points deduction - so we will not be bottom after the early games like we were this season - oh joy! That’s assuming we don’t have our own points deduction of course! Unlikely that they will get any points deducted as a deal has been agreed although the potential owner still needs FL approval. Could be from the frying pan into the fire mind. Imo all 3 relegated sides will be battling at the top including Rotherham (should they be relegated). I have a feeling Rotherham might find League One more difficult with the big clubs that’ll be down there. Ipswich I’d expect to do well with their talented bunch of young players. Possibly they will be able to keep some of their better players too.